laser tattoo removal treatments with our advanced ATR Q SWITCH laser at affordable prices. Call us today for a free consultation with one of our qualified laser officer specialists for an obligation free assessment. *Our pricing based on size is only to be used as a guide. Accurate costing will be given at your consultation appointment with us once we see your tattoo. We cannot give you a confirmed price over the phone. Entonox® pain relief is now available. Tattoo removal is now even more tolerable with our pain relief option! We have only fully qualified/certified laser safety technicians, who have undertaken additional Tattoo removal courses. Our Laser technicians are also skin therapists that have many years of experience in the use of laser equipment, not only in tattoo removal, but also laser hair reduction and laser facial treatments such as Fractional laser and Genesis laser rejuvenation. This ensures you have a therapist who understands how the skin will react during different treatments with Lasers, not just tattoo removal. The COSJET ATR enables fast treatment times with its continuous and consistent energy output. WHAT LASER TECHNOLOGY DO WE USE AND WHAT COLOURS CAN WE TREAT? We use the latest proven tattoo removal technology; the Cosjet ATR Q-switched Nd Yag lase. The Cosjet ATR has a precise beam profile allowing it’s super high speed light to smash tattoo ink. This specific beam profile delivers energy squarely without a dip or rise at any point during treatment. Unlike other Q-Switched lasers on the market, the ATR produces an ongoing stable beam profile allowing it to successfully smash and breakdown tattoo inks consistently. Our laser has the power to achieve fast treatment times; the energy to penetrate to the deeper levels of pigment which can be resistant if not impossible to remove with technology not of this standard. Q-Switched lasers are a special category of lasers that can deliver energy in extremely short bursts. 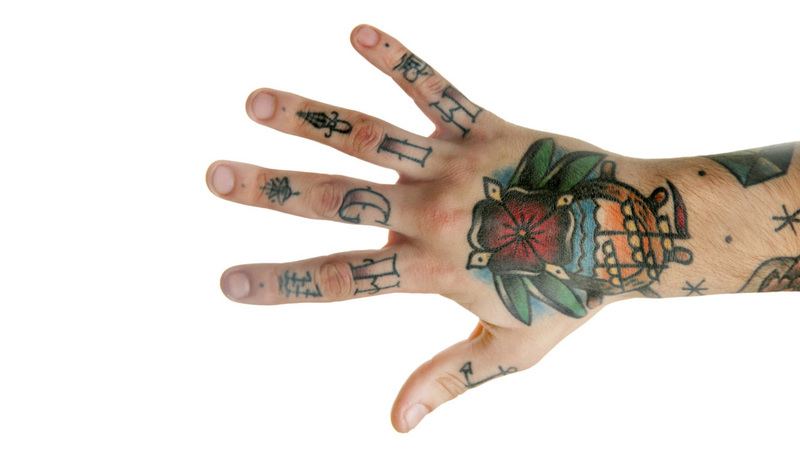 As a result, this unique property makes it an ideal laser for treating pigment-related conditions such as tattoos. WHAT HAPPENS DURING THE FIRST APPOINTMENT AND SUBSEQUENT SESSIONS? Your first appointment with us will be a detailed consultation to explain how the procedure works, the cost of treating your individual tattoo and answer any questions you may have. When you come in for your first and ongoing treatments, a topical anesthetic cream is applied to the area prior for pain relief and ice packs are also used post treatment. During treatment, extremely short nanosecond bursts of light energy penetrate the skin through the tattoo ink pigment leaving surrounding skin untouched. The laser passes beneath the dermis where the ink molecules are shattered into smaller pieces that are then absorbed and removed naturally by the body. After your laser tattoo removal session you will be advised as to the best aftercare and interval time for the next treatment. Call or book online for a free tattoo removal consultation and we can quote on the area to be treated. Some tattoo’s will take more sessions to remove depending on their size color and age. We will supply you with all the after care instructions for your tattoo removal and suggest the use of a specially designed gel to be used post treatment which protects the treated area and allows it to breath at the same time, which is important for problem free healing. You can expect your tattoo to be tender, pink/red and raised straight after the laser treatment. These reactions generally dissipate over the next 48 hours, however some people may experience some redness and swelling for a couple of weeks. It is important that you do not pick or exfoliate the area whilst it is healing so as to avoid adverse effects. It is also important to avoid exposing the treated area to the sun whilst it is healing and using sunscreen once it has healed. Tattoo removal can be an uncomfortable experience. To make the treatment more comfortable for you, we can offer Entonox® analgesia, which can be used for acute short term pain relief and is well suited for tattoo removal treatments. . It is administered as needed by the client, inhaled as a gas. You may have heard of it previously as “gas sedation”. To have this option with your treatment, a short consult with our doctor is necessary to confirm your eligibility and a consult fee is charged of $40.00, which is then valid for 12 months for multiple visits during that time.